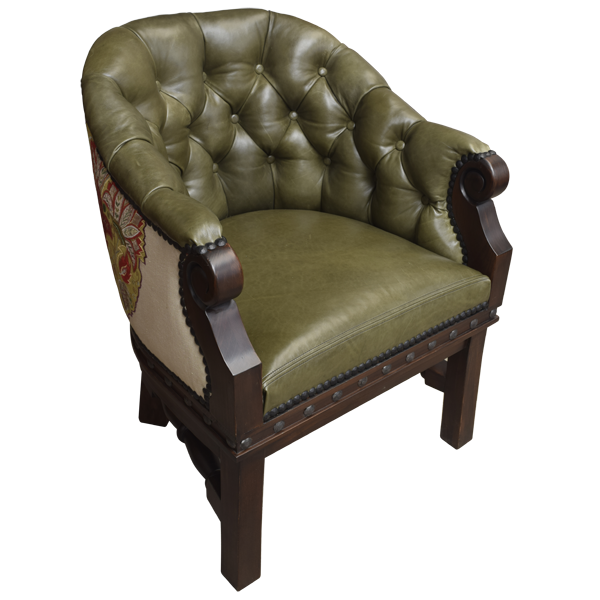 With its antique, full grain leather upholstery and its beautiful finish, this handcrafted chair is perfect for your living room or your office. 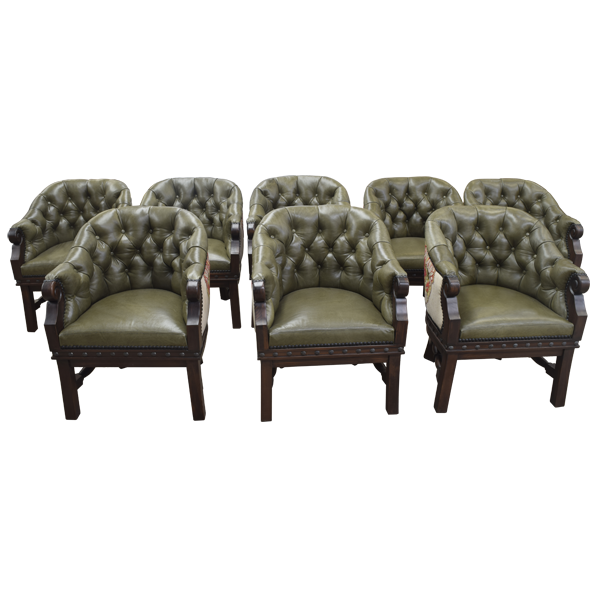 The seat cushion, the inside seat back, and the armrest of this custom chair are upholstered with antique, green full grain leather. The inside seat back has a lovely, button tuft design. 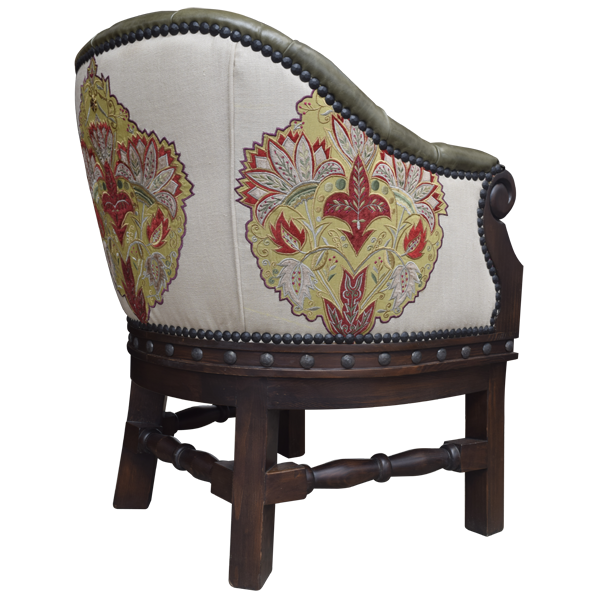 The reverse seat back and the exterior sides of the chair are upholstered in floral pattern, fine fabric. 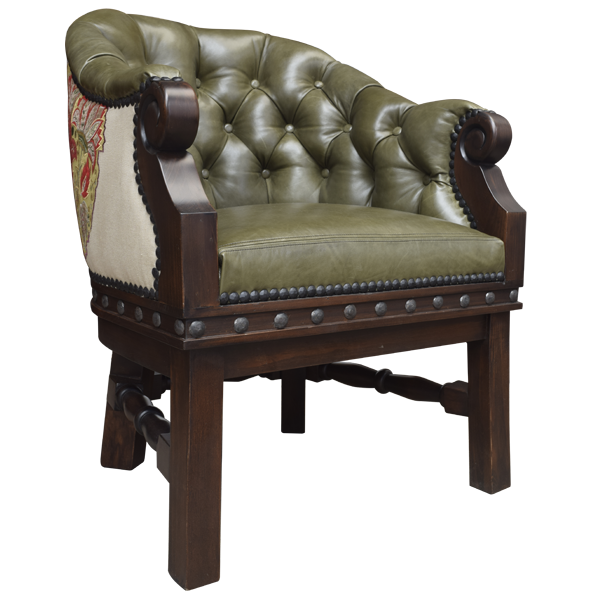 The upholstery is precision hand tacked to the entire wood frame with decorative nails. 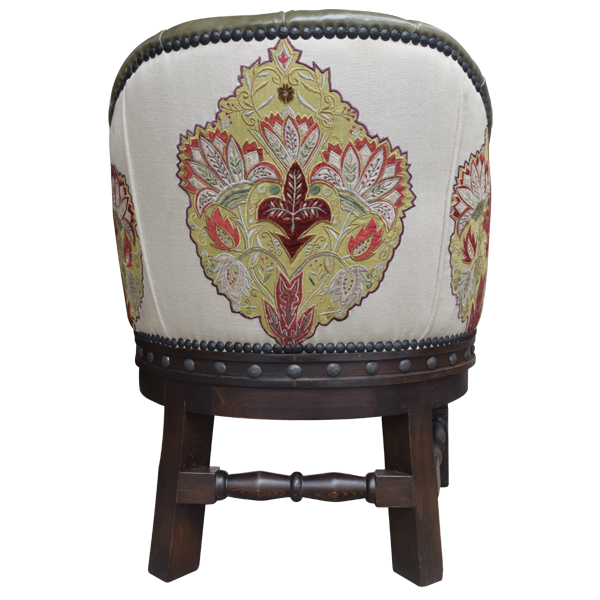 Also, the upholstery is double stitched for extra strength and durability. 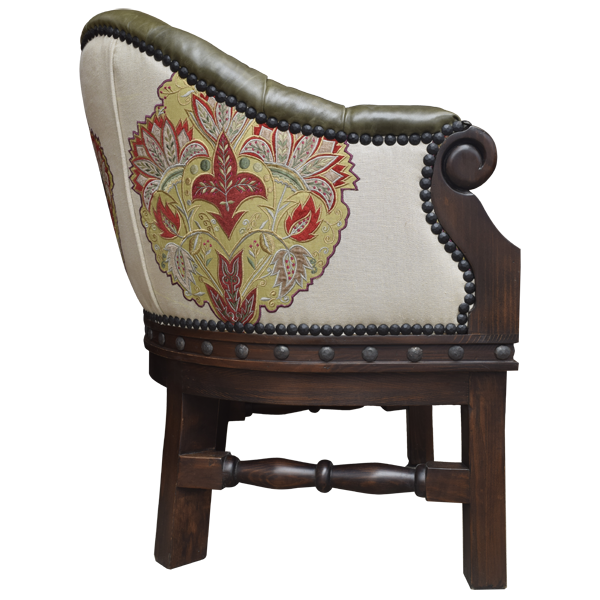 The armrest of this handcrafted chair are hand carved with scroll designs and are accompanied with solid wood, vertical uprights. 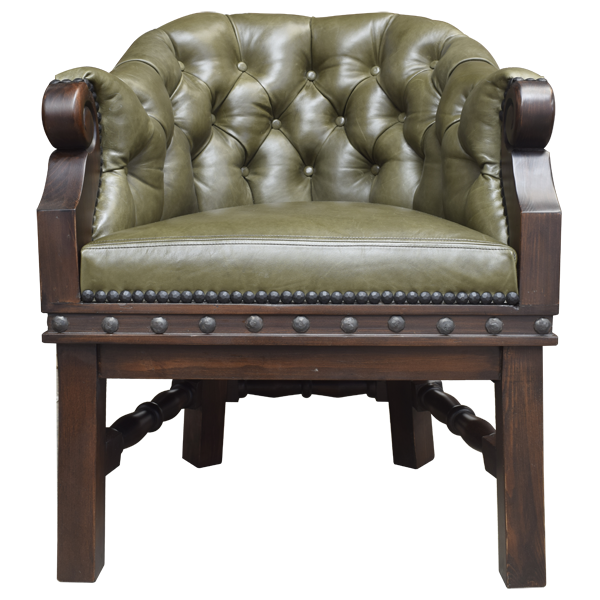 The lower wood base is decorated with hand forged iron conchos. The chair rest on straight legs in the front and splayed legs in the back, joined by hand turned crossbars on the sides and a simple crossbar in the back. It is 100% customizable.